Peter and the Wolf $5 Special and July Grand Giveaway! Would you like to start your school year off with some fun? You can try the award-winning classic, Peter and the Wolf by Maestro Classics for just $5! As you listen to the CD, your students will be delighted with the musical presentation. Other segments of the CD are dedicated to teaching your children about the music and the composer, Prokofiev. The learning does not stop with the CD. With your $5 download, you will receive a PDF activity booklet. You will also find oodles of additional ideas in the free study guide found at the Maestro Classics website. If you would like to continue to enhance and extend your learning, Homeschool Share offers many FREE units and lapbooks that match-up with the learning themes in Peter and the Wolf. Maestro Classics Offer Details: Purchase Peter and the Wolf MP3 Digital Download for only $5 with discount code: HomeschoolShare. Limit one per family. Offer expires 7/31/12. And now, for the GIVEAWAY! Value over $150! Swan Lake, Tchaikovsky’s greatest ballet score, is the tale of a prince who falls in love with a beautiful princess. The princess, however, has been turned into a swan by an evil magician, and only the prince’s love can break the spell. This narrated version of the classic tale for children is sure to delight all who love ballet and enchanting storytelling. Virginia Lee Burton’s classic American storybook, a childhood favorite for generations, is brought to life with this beautiful new music for orchestra and Irish bagpipes. In the story, Mike Mulligan refuses to give up his aging steam shovel Mary Anne as they travel to find one last job together. A tale of loyalty and friendship, perseverance and good ideas, this musical CD won a Parents’ Choice GOLD award. When Handel, the brilliant young German composer living in London, needed to get back into the king’s good graces, he had a brilliant idea. He composed a suite of dances, hired a boat and 50 musicians, and headed down the River Thames to surprise King George I. The music became known as “Water Music,” one of Handel’s best-loved compositions. Hare, certain that talent and new running shoes will win the race, stops for a little French onion soup at the bistro along the route. All the small animals in the forest cheer poor, slow Tortoise along, while Hare, who is far ahead, decides to take a nap. The charming musical score, complete with “The Pretzel Vendor of Paris” song, won a Parents’ Choice GOLD award. When the Mudville Nine are almost certain to lose the game, Mighty Casey takes his turn at bat, and the fans hold their breath as each pitch is thrown. The upbeat, jazzy music performed by the London Philharmonic Orchestra is highlighted by cheering crowds, vendors hawking their wares, the cheers of spectators and the sounds of the ball being hit, which bring the story to life. The lazy apprentice, confident that he can use his master’s spell to do his chores, chants the magic spell and takes a nap. As the water swirls around the workshop getting ever higher, the apprentice awakens, only to discover that he does not know the spell to stop the brooms! A thrilling narration accompanies Paul Dukas’ dramatic musical score. This new musical work from England combines flamenco guitar music with bel canto opera, poking fun at both, while telling a delightful story. The music of this tale invites you to not only have fun listening but also to learn and sing along. You’ll get a kick out of the high level of quality music performed by the London Philharmonic Orchestra, the dynamic storytelling and the multifaceted tongue-in-cheek humor. Fun for all! Stravinsky’s greatest work for narrator and orchestra. It is the story of a soldier, on leave from the army, who trades his old violin for a magic book that can tell the future and make him rich. He soon discovers, however, that he has made a deal with the devil and that money does not bring happiness. Use the Rafflecopter below to get enter this amazing giveaway! 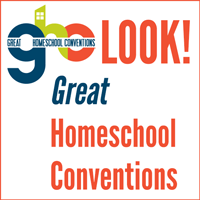 March Great Homeschool Giveaway — 6 Winners, $930 in Prizes! We have Swan Lake and love it. These are wonderful resources! The girls and I listened to Mike Mulligan and His Steam Shovel. Sounds great! I listened to Mike Mulligan and His Steam Shovel – sounds like fun! I think my daughter would really enjoy it. what an amazing opportunity!! THANKS SO MUCH !!! Mike Mulligan and His Steamshovel – What rich, wonderful content!!! I loved Peter and the Wolf, I remember listening to that one growning up! All their CD’s are wonderful though! Oh my goodness…just had to listen to Mike Mulligan. My hubby had told me quite awhile ago that it was his fave book and we had to get it for our son when he was younger! Loved it! And now I have to have him listen to it when he gets home! I would LOVE to win those CDs!! What an awesome giveaway! I listened to “My Name is Handel” since we’ll be studying Handel in our coming school year. I love the ‘My Name is Handel’ song and sing-along, very clever! My kids love listening to audio CDs so this would be perfect for them. I love Swan Lake and their rendition is beautiful. I listened to the Sorcerer’s Apprentice and it was wonderful. I didn’t realize they had so many selections. We listened to Peter & the Wolf. Always one of my favorites!! Oh I would really love to win these! Love Peter and the Wolf! I listened to Mike Mulligan and his Steam Shovel. My daughter and I loved it! This would be wonderful. My kids love the one that we have. I have swan lake and absolutely LOVE Maestro! This would bea true blessing in our home…. I listened to Mike Mulligan – one of my faves! I listened to them all & they are great!! I grew up being a part of orchestra for years & brings back memories of being on stage & performing. Beautiful music! We have Peter and the Wolf and have had it for years! My youngest son is scared of it, though!! Music can bring on such strong emotions! Would love to win the set for my own little boys and for the grandchildren to share. My girls were mesmerized by Peter and the Wolf they were so sad that it was only a sample. I listened to A Soldier’s Tale. My family enjoys your CD’s. We travel a lot as a military family and listening to your CD’s allow us some fun on the road and a wonderful break from am/fm. I have really being praying for this my kids would love it.we have hear some sample .hope to some day have the cd. Can’t wait to try Peter and the Wolf, and would love to explore these other resources!! Listened to Peter and the Wolf! Love Maestro Classics! We own A Soldier’s Tale!! LOVE IT! I listened to the Tortoise and the Hare – I like the story and the music that went along with it. I just found your website yesterday! I would love to win!!! I listened to Swan Lake. I love the narration! Swan Lake! Always a classic!It sounded beautiful! These would be an amazing addition to any collection for classical lovers and bibliophiles alike. Would love to win these for my son who loves music. I have heard great things about this product. I listened to My Name is Handel and LOVED it! I would love to win these CDs to add music appreciation to out homeschool! I’ve been eyeing the Maestro Classics for a while now. Hoping to use these at some point & I’d love to win the set! I listened to Mike Mulligan and His Steam Shovel. I love the Irish sound to this recording! Oh this is a great giveaway! We would be blessed with even one of these great classics!! Listened to Mike Mulligan since we love the book. Love it!!! The Sorcerer’s Apprentice! I would love to win this to add to our children’s homeschool library. just wandering, I do not use face book often, and do not blog, can i still enter ? Yes! You can leave a comment on this blog along with what you listened to at Maestro Classics and what you thought. That will get you two entries! I listened to Mike Mulligan and His Steam Shovel. It was great. This is a favorite story in our house already. Like many other FIAR moms, I listened to Mike Mulligan. 🙂 What fun! My son and I listened to The Soldier’s Tale. He loved it! Now we are listening to all the others too. Swan Lake! Loved the ballet, too! Beautiful in every way! Oh, what fun it would be to win this package! I love peter and the wolf! fun and beautiful! this looks great. I would love to have these in our library. My daughters piano teacher would love to have shared use of them too! Swan Lake is so beautiful. My youngest daughter has always loved classical music- even as a baby, if she was crying, she would instantly be silenced at the sound of good music. I’d love to win these for my three youngest. The Tortoise and the Hare…my kids love the book. We have Swan Lake as well and absolutely LOVED it! We have passed it around and gotten others turned on to the Maestro Classics!! We would thoroughly enjoy having such a collection! I LOVE that Mike Mulligan is put to song with these! I loved the traditional sound of the vocals too – just like the time period the book was written in! I listened to samples from The Soldier’s Tale. Stravinsky going into Criminal Law… that would have been such a waste. I listened to Peter & the Wolf. Exactly as I remember it. WONDERFUL! These would be perfect for my son! We have to have him listen to stories and music throughout the day for his program and he would love these! They would be so beneficial for us! Mike Mulligan sounds great! I love the way they added music to an already classic story. We listened to “Juanite the Spanish Lobster” and my kids thought the cover art was funny. They loved hearing the lobster’s claws clacking in the music. We love these recordings. My son asks to listen to the ones we have over and over. We’d love to own the ones we’re missing – – and pass along the ones we already have. Spread the joy!! Peter and the Wolf would be fun. My kids love animal stories. We listened to mike mulligan and the steam shovel. So much fun!!! I love Maestro CDs. I’m not going to be happy until we own them all. And wouldn’t you know Peter and the Wolf is next on my wish list. I would love the CD’s and my kids would, too! We listened to My Name is Handel, this is probably my favorite one! I listened to Mike Mulligan and His Steam Shovel. It’s one of my son’s favorites and it sounds great! I listened to Mike Mulligan. I have the book and never thought to expand it with the music. Mike Mulligan and Peter and the Wolf. I’ve always loved Peter and the Wolf. They sound great and would be wonderful to win! Mike Mullican and his Steam Shovel! It sounded great. My son was beside me with a big smile on his face. I listened to Mike Mulligan, as it’s one of my boys’ favorites! I love it! upbeat and interesting, beautiful and lyrical! I listened to Mike Mulligan and His Steam Shovel, an old childhood favorite. It was really good, I think it would make an excellent live performance. We listened to Mike Mulligan also. We love it! We have Peter and the Wolf and would love to get more… like Swan Lake and The Tortoise and the Hare. What a blessing it would be to win all 9. Thanks for the giveaway! Mike Mulligan sounds so cute! We listened to MiKe Mulligan and his Steam Shovel. My son loves this story and really enjoyed hearing the music samples that goes along with the story. I listened to The Tortoise and the Hare. Would love to win. I am a first year homeschooler and I have never heard of these, my kids would LOVE them. I listened to Mike Mulligan and the music is beautiful. Wow, how incredible is Casey at the Bat! We have Swan Lake and we like it! I have always love Peter and the Wolf! i listened to peter and the wolf and i would definitely like to expose my kids to beautiful music. We listened to Casey at the Bat. We are big baseball fans and really enjoyed it. The sounds of the crowd made us feel like we were right there. My children love Peter and the Wolf! What an awesome giveaway! I listened to The Story of Swan Lake. I love listening to Tchaikovsky. I have had the Maestro classics CD’s on my wish list for a while — would love to have them. My boys LOVE Peter and the Wolf and practically have it memorized. Thanks for the opportunity. I listened and loved Peterand the Wolf! I just love the sounds. I have a baseball fanatic son — Casey at the Bat is great! I actually listened to little bits of each of the samples! When I was young (many years ago!) I had a book with a record of Peter & the Wolf. Still have the book, but unfortunately not the record. I listened to Mike Mulligan… I love the mix of narration and music. I think my kids would love this! we listened to Casey at Bat…we are finishing up a baseball unit study and season! It was great! we are also fans of Mike Mulligan. Listened to Casey at Bat. Not quite as memorable as the old Disney version, but I liked the music that went with it. I listened to Mike Mulligan. I loved the bagpipes and so will my kids! We used to have neighbor who played so they know that sound well. I listened to Mike Mulligan. I will have to buy that for my boys if I don’t win it!! I listened to The Story of Swan Lake. My daughter would love this since she does The Nutcracker ballet each year! We have Swan Lake and my daughters really love it! It would be great to have them all. Thanks! Thanks! I used the code to get Peter and the Wolf and we are already enjoying it! I would love to win them all! Thanks for offering this. I listened to Mike Mulligan and His Steam Shovel and it was lovely. I listened to the Tortoise and the hare- fun music- I have been eying these for a while. Thanks for the great discount code. I made use of it! Wow, what a great giveaway….love Peter and the wolf!! Mike Mulligan! Would love to win these awesome CDs! I listened to Swan Lake. It sounded beautiful. I listened to Peter and the Wolf and thought the reader had a wonderful, attention getting voice. The music was very crisp and clear. I would LOVE to get this! We listened to Mike Mulligan. Love the bagpipes! The Mike Mulligan song makes ya want to tap your toes and do a little jig =) We enjoyed listening to the samples! We LOVE MC’s products and just bought Peter. I listened to The Tortoise and the Hare CD … one of my daughter’s favorite Aesop stories. She … we really enjoyed listening to the story and music samples. I love the incorporation of literature with music. This would be a wonderful way for us to cover music in our homeschool day while bonding together. It would be an absolute blessing to win this popular set! LOVE IT! My son, Casey, thought Casey at Bat was great. I loved Peter and the wolf! These are wonderful, creative tools! We have Peter & The Wolf and we LOVE it! We also have Juanita and the Sorcerer’s Apprentice. We can’t wait to get more. We love these CDs! I listened to Mike Mulligan and His Steam Shovel, and I thought it sounded pretty cool The clip was fairly short, but the narrator was good! Listened to The Sorcerer’s Apprentice. We have a few Maestro CDs and love them! We loved Peter and the Wolf! =0)We would love to win these. I am bookmarking this site for our christmas wish list. I’ve heard rave reviews about these and had the chance to listen to a few at a homeschool convention. They are on my wish list! I recently learned about these CDs and would love to have them in my classroom! I listened to Sorcerer’s Apprentice. My children LOVE it!!! We LOVE Mike Mulligan and have the rest of the set on our wishlist! I listened to Mike Mulligan and His Steam Shovel. I LOVED it. My kids love to listen to classical music and I think it helps get creative juices flowing. I remember when I was a kid, we used to listen to Peter Wolf and close our eyes and paint a picture. It was amazing!! My boys LOVE listening to audio books and are now starting to appreciate more classical-type music. I’d love the chance to expose them to these CDs! I listened to Peter and the Wolf, the Sorcerer’s Apprentice, Tortoise and the Hare. They are all wonderful. I know my kids would love these! Our library has a few of these and they are great! I would love the whole set. This is great! Thanks for the contest. I would really love to win, best of luck everyone! We listened to Tortoise and the Hare. I have yet to own one of these CDs, but I know we would enjoy them. I could listen to these every day! I listened to The Sorcerer’s Apprentice. I have always loved the music, and I would love to hear it narrated. I would really enjoy sharing this with my young children. We’ve just borrowed Swan Lake from the library and love it. So excited at the chance to win these! Wow. I am speechless! This is an amazing giveaway. I have never heard of these before. I listened to the Mike Mulligan to sample for my 3 year old sweet boy….. he has recently taken to humming the tunes to all of his big sisters violin pieces. Would love to get these for both my little ones. THANKS! I listened to Swan Lake, it’s one of my favorite ballets and I adore the music, I really enjoyed the narrator’s voice, it was very soothing and elegant. I’ve been trying to find something like this for my daughter while she plays in her room and would love this giveaway. I listened to Peter and the Wolf and loved it! I remember hearing it as a child. Oops… I listened to Peter and the wolf. I love all the different characters sounds! I listened to Peter & The Wolf. Can’t wait for my children to listen! These would be a welcome addition to our homeschool! I listened to parts of Swan Lake and Casey at the bat. I know that my children, especially my oldest daughter, would LOVE these CD’s! Peter and the Wolf…loved it…took me back to my childhood. Would love these! My husband is a musician and this would be a great way to introduce this music to our daughter! I listened to Peter and the Wolf because it brings back good childhood memories. I love this set and my daughter loves to listen to music and audio books. Casey at Bat! I used to love this story! I also remember watching the Charlotte Orchestra play Peter and the Wolf. Such memories! These CD’s are amazing! Thanks for the chance to win. We have Casey at the bat and love it! I listened to Juanita the Spanish Lobster. Now I want to check out the rest of them! I would love to win the set! LOVE Peter and the Wolf!! I listened to a few of the samples, and thought all were very engaging. The stories are classic, and the music is just beautiful! Would love this for my son! He loves classical music, and this would fit great with our homeschool curriculum! Forgot to say that I listed to Peter & the Wolf! Enjoyed this classic as a child, so it brought back great memories! Would love to win these! We are just getting into read-aloud times and it would be great if I could listen too! Listened to peter and the wolf. Loved it!!! my kids love audio CD’s so they will love these I am sure. Listened to the to Tortoise and the Hare & thought it sounded great and so much fun!! I listened to a few of them and my fav is The Tortoise and the Hare. It’s such a great story about never giving up even though the odds look to be overwhelming. Peter and the Wolf is one of my favorites, so I listened to that. It sounded great! These look great! Thanks for holding the contest! This would be so much fun! I’m sure my kids would enjoy these. I’ve never heard of these, but they are now on my wishlist! I actually listened to the compilation in the give away and I think it is fabulous. I grew up listeningto classical music but my kids just don’t appreciate it. I think this set would bring them more into it. I would love to use this with my kids – sounds great!! What a great way to bring classical music to children! I admit I stayed a little while and listened to a little of each! I have been looking for something wonderful for music this year and this sounds perfect. I listened to My Name is Handel. The girls know the music from Baby Einstein, and other shows but I would love for them to know the real composer behind it. I love the music and the learning tracks seem to be great too! Would love to add this to our homeschool curriculum! I listened to the tortoise & the hare. I liked that it was more than just the story but also gave some background. It sounded really interesting and definitely something my kids would like – esp. in the car! My Name is Handel. Seems like a wonderful program to share with the kids. The music and stories are a very interesting mix. I enjoyed the sample from Mike Mulligan. We have Peter and the Wolf and we love it! I’ve been looking into getting the rest. I listened to Swan Lake. Beautiful! I would love all of these! I have 4 children at home and I would love to have these informative CD’s to go along with the movements. This is exciting! I’d love to win all of these! I listened to the “My Name is Handel” cd. I like the idea of the “My Name is Handel Song,” but I found it too hard to understand what he was singing. Maybe if it was only his voice with no other voices, and louder than the rest of the music, it would be easier to understand. Oh yeah, I listened to all of them! I really took time and listened through “Swan Lake” twice. Peter and the Wolf – so awesome! Great music. What a great giveaway. Peter and the wolf sound cool, really they all do. Would love to have them, thanks for the chance! We listened to all of the selections on Mike Mulligan & His Steam Shovel – one of our favorite books! We loved the samples! Are going back to listen to the rest. What an awesome giveaway! Swan Lake great music with the story. They all sound great. I think my son might like the Mike Mulligan go along cd, but in terms of the music I’m liking Sorcerer’s Apprentice! We listened to The Soldier’s Tale. Awesome! These sound like they would be great! Would love the opportunity to win these! Mike Mulligan and his Steam Shovel. Liked the Irish music and the composer talking about the Mike Mulligan song. Seems very engaging. This is my first year homeschooling and having these would be amazing. I listened to Swan Lake. More beautiful each time. My daughter will love it! Swan Lake….love it! What a fantastic giveaway. Thanks. Peter and the Wolf, and I think it’s fabulous! We checked out a different version from the library awhile ago and my kids loved it, but I’ve been really wanting to hear this one! i have had my eye on these longer than i am willing to admit. It would be so great to win them as they never seem to fit in the budget! Wow! Mike Milligan and His Steamshovel!! We love the the book! So cool they made music with it! I listened to Peter and the Wolf and thought it was wonderful! With my husband being in the Army how could I not listen to The Soldier’s Tale! I also listened to Jaunita the Spanish Lobster ! Loved them both!! we have Peter and the wolf…great music, and learning tool! The “My Name is Handel” song was just great. I can just hear my 8-year-old dancing through the house and singing this! Great! This would be exciting….I wanted to start with a Classical Music curriculum this year. I listened to the story of Swan Lake…loved it! Would love to have all these CDs. I listen to the samples and they sound absolutely wonderful!! This set would be great for our homeschool!! I listened to Mike Mulligan and His Steam Shovel and it was really engaging. Thanks. My son & I listened to all of the samples they offered. We loved them! Each was unique. We very much enjoyed the beautiful music. It is obvious that these CD’s are excellent in quality and we really liked the narrator of the stories. PS – Favorites for us were Peter & The Wolf and Swan Lake (surprisingly we really liked the version “Speed Metal Swan”! These are so well done – just amazing! I couldn’t stop listening, so I ended up listening to Mike Mulligan, The Sorcerer’s Apprentice, The Tortice and the Hare, Peter and the Wolf, Casey at the Bat and The Soldier’s Tale! I know my son would be enraptured by these. Like the combination of music and story telling in Juanita The Spanish Lobster. I was just looking for something on “Peter and the Wolf” today. It would be great to get this package with so many other great pieces of music and great stories. We have Mike Mulligan but Swan Lake sounds great! I would love to win these! My children love classical music and they would be thrilled. These would be a great addition to our curriculum. Thanks for the opportunity to win! Listened to Peter and the Wolf. We own Swan Lake and it is fantastic. I would love to own them all. My kids love Peter and The Wolf. I would love to add all of these to our collection. These would be great to add to our homeschool. We would love these. I have heard such excellent things about this series and would love to incorporate them into my school. My children would love these CD’s. What a great giveaway! We love listening to classics and anything audio!! We listen to classical music while doing Math and would love to have these CD’s. Thank you. Peter and the wolf. We are starting MFW this year and this was an option I had not purchased. It sounds awesome. I have many children many of which are showing great interest in all things musical. This would be a great resource for all fo them! We listened to the Story of Swan Lake. Peter and the Wolf. I have always loved that music! Having been a ballet dancer growing up, I had to listened to Swan Lake. I loved it! It’s really nice to have a CD that teaches children about the story behind a type of music that doesn’t have lyrics! We listened to Mike Mulligan’s song and loved it. We just recently read that book for the first time! I had heard about Swan Lake/Peter and the Wolf but the rest were new to me. I listened to all the samples on the website and am very excited to introduce them to my children. This will be our first year homeschooling and what a perfect way to start the year. Thank you for offering this contest! These look great! Would love the chance to Share them with the kids. I’ve seen these CDs all over the blogosphere lately – would love to try them! I listened to the Casey at the Bat samples and like the liveliness of the music. I would love to integrate his into of music lessons! We enjoyed the samples and would love to win!! I would love to own all of these cd’s. My special needs daughter adores music (as well as my other children). I can see an entire homeschool curriculum based on these cd’s! Awesome giveaway! I listened to The Tortoise and the Hare. I love these! I’ve never heard of them before. My kids listen to classical music every night at bed time so I know they would love these! Mike Mulligan- we are going to be reading that with FIAR this year in kindergarten. This would be great! I listened to Peter and the Wolf. I liked the tone of voice used in the recordings. We would love these set!! I just listened to Swan Lake. I am excited to hear the rest of them! We already own Peter and the Wolf. I grew up listening to it with my grandpa, so I had to get it for my own kids! I listened to Mike Mulligan with my son and we loved the bagpipes! Of course we had to sample others as well and loved Swan Lake. He thought the Swan Lake Metal was hysterical! My son is 11, and I love that he could enjoy this along with my 4, 8, and 10 year old girls. What a great resource to own! Thanks for this awesome opportunity!!! I listened to Casey at Bat. It has always been a favorite. I also liked the steel metal version of Swan Lake. This collection would be an excellent and exciting addition to our homeschool. These sound wonderful. Classical music is good for the soul and the brain. These add a special touch to just listening. This sounds like something my little guy would love! Would absolutely love to win these! I have three young children, two of which I will be homeschooling this year, and I know they will all love it! Oh, and we listened to Peter and the Wolf… one of my favorites from growing up! I have been looking at these CD’s and hoping to add them to our homeschool library! I listened to the samples of Mike Mulligan and His Steam Shovel (a book we love) on the Maestro Classics website. I love all the extra features like the interview with the conductor. I listened to Swan Lake. We saw this ballet, and it would be so fun to have the CD to learn more about it. What great music! Thank you for the chance to win. I know my boys would be blessed by the music, if we won. Some of these we’ve read and enjoy but we haven’t done any as books on tapes. We’d love these for in the car. I listened to Juanita The Spanish Lobster. What fun! These are great! I went to their website & listened to Peter & the Wolf. I listened to The Sorcerers Apprentice…such fun music! A fantastic giveaway! OH! How I would LOVE to win this set!!! I’ve been eyeing it for quite awhile and would love the chance to surprise my daughters’ with it for our upcoming school year. They recently became obsessed with Swan Lake and enjoy Tchaikovsky and they really liked listening to the samples on the site. Thanks for offering this great giveaway! We love music and I would LOVE to win this!! I listened to Peter and the Wolf. It was very nice. I think that my kids would like it. I listened to the Sorcerer’s Apprentice, as this would be a fun piece of music to study! Thanks for the chance to win! Mike Mulligan and his steam shovel. My kids ears perked right up! I listened to The Tortoise and the Hare. It was awesome and would be so great for my child and for my piano students! I LOVE Juanita la langosta espanol! I plan to teach my girls Spanish this fall and this would be an amazing music program to go along with that. Swan Lake was beautiful! Would love to win! I loved Peter & the Wolf as a kid & would love to share these with my kids. LOVE the stories! They are a wonderful way to incorporate the classics into our daily life! I listened to Mike Mulligan and loved it. This is the first I have heard of this series and I can’t wait to have my girls listen to it. I listened to Peter and the Wolf. It was very nice. I think that my kids would like it. The other cds look great too. We listened to The Sorcerers Apprentice and thought it was very interesting. I listened to all of them just because I tend to be curious about things. Handel’s Water Music has always been a favorite of mine. My daughter enjoys Swan Lake right now and my son enjoys Peter and the Wolf. Hearing the story behind the music is a wonderful way to add to the enjoyment of the music itself. Great give away. I couldn’t get the previews to work but this set has been on my wish list since I heard of it. Thank you for the giveaway! Peter and the Wolf–Very fun and engaging for children! Love how it introduces each instrument of the orchestra and relates them to an animal. We love Peter and the Wolf BUT the boys new favorite could be Mike Mulligan and His Steam Shovel! They really enjoyed the preview!! I just listened to Mike Mulligan…loved it! we have listened to the story of swan lake and love it. would love to hear the rest! I remember Peter and the Wolf from my childhood. I’d love to hear them all! Thanks for this giveaway! We would love these for our homeschool! Oh, and Peter and the Wolf is our favorite! Well, we listened to the CDs and I loved the music for Jaunita the best! My son was drawn to Mike Mulligan (a favorite story in our house). My daughters were both delighted with Swan Lake. I listened to Mike Mulligan and thought it was great. I also listened to Peter and the Wolf but could barely hear the story over the music. I had the same experience with The Soldier’s Tale, is that normal or is there something in the settings I can change? we listened to The Sorcerer’s Apprentice and loved it! We would love to add these to our just beginning music collection!! Thank you so much for the contest!! I would love to win these cds. They would be a great teaching tool for my girls. One of my favorites is Peter and the Wolf. I love the way each animal/character is represented by a different instrument of the orchestra. Would love all of these. I’m preparing for a co-op music class, and was just pondering the use of Peter and the Wolf as we study the instrument families. I listened to Mike Mulligan and his Steam Shovel. I just love it! I like how it teaches about the instruments as well. My boys love music. What a great addition to our small collection. I listened to Juanita the Spanish Lobster and adored it!!! Great music and very fun! Listened to Handel; would be great for learning composers! I listened to Mike Mulligan & His Steam Shovel, one of my favorite childhood books! I love the Highland pipes on this CD! Our family would love either Mike Mulligan (a family favorite!) or the Handel CD’s. I’ve had my eye on this particular product for a long time. Looks great! I love all the resources for homeschooling on the Maestros site! I can’t wait to listen to these with my kiddo. Loved Peter and the Wolf…it is a classic from my own childhood. Fun and suspenseful, and introduces lots of instruments. I just love Peter and the Wolf. I have ever since I was a kid. I am in my 40’s now. I listened to Swan Lake & love it. Would love to win this set. Thanks for the opportunity. I listened to Peter and the Wolf!! My little girl’s fav! Peter and the Wolf – I love it. Music is crisp and clear. My little guy was so thrilled as soon as he started listening to Peter and the Wolf. Perked him right up and he was ready for more. I listened to Mike Mulligan and I loved the accent! My kids love Peter and the Wolf. I listened to Swan Lake – it was wonderful. My girls would love these! I listened to a sample of Peter and the wolf. I think my son, dil, and grandson would love these! we listened to swan lake for my little ballerina. My children love music. We listen to soft classical music during writing and reading lessons, and I’ve been wanting to incorporate composer lessons into their schooling. Thank you so much for sharing! would like to win these! I listened to My Name is Handel. I have never heard these before. Very cool. I listen to Mike Mulligan and his Steam Shovel. I liked it alot and I’d love to win the whole set! I saw these at a convention and would LOVE to win them. Ack, failed to follow directions. I love what they did with Mike Mulligan and His Steam Shovel. I can’t believe they could improve on an already perfect book. My daughter loves Swan Lake! I listened to it and love the mix of music and narration! I clicked over, but we already have some of these and I know I like them. I’d like to get Mike Mulligan. I would love to win this set! I will be homeschooling this year for the first and know that this would be a great add-on to our curriculum and enrichment. We LOVED Peter and the Wolf and would LOVE to win all the CDS!! I have been wanting these for over a year! Lots of music lovers in my home 🙂 We have listened to Peter and the Wolf and loved it! We would love to win these! I’ve been looking for a course like thus for my little ones! We LOVE Mike Mulligan and Swan Lake! Can’t wait to try some more! I listened to Peter and The Wolf. I am working with a young lady with severe learning challenges. The window to her world is thru music. These would be awesome for her! We listened to Mike Mulligan and His Steam Shovel – sounds like fun. Thanks for having the give away! We have Peter and the Wolf and we love it! My daughter was engaged in so many levels thanks to this CD and materials that comes with it. I love Peter and the Wolf – of course, I am a bit biased to French Horns. Peter and the Wolf – my daughters love it! Wow! What a treasure trove of CD’s these would be to win. My son LOVES listening to cd’s and we especially like them on long road trips to see family. The kdis and I just listneined to slections of Mike Mulligan, CAsey and the Bat and Peter and the Wolf. Such fun combos of words and music. LOVE them! I listened to Peter and the Wolf. I am teaching Music Appreciation/History at our local co-op this fall and these would be fantastic!!! My son (3) and I are listening to a sample of Handel’s Water Music. I tell him the title and he says, “I don’t like this water music it will drown me mama.” Love these CDs. I listened to Swan Lake. I adore Tchaikovsky, and I love that the collection includes his works! Major thumbs up! We listened to Peter and the Wolf. My kids LOVE figuring out the animal sounds based on the instruments! I listened to the Peter & the Wolf sample, and liked it so much I ordered the $5 digital version. It brought back memories, as I remember listening to it as a child. I’m very excited to use the Maestro Classic version with all of the extras and background information and fun homeschool extras. We love listening to books on tape! Thanks for the opportunity to win. oops, forgot to add…we listened to Peter and the Wolf. Love how clear the reader’s voice is! Easy to understand even fo rthe little one! We listened to Swan Lake (well, it started out as just me and within seconds all four of my littles were gathered around!) – I loved all the information about the composer. These have been on my radar for a while, so we’ll be trying Peter and the wolf for $5 and hopefully, adding more though the year!! Thank you for the chance to win! We listened to Mike Mulligan and His Steam Shovel. We really enjoyed it, and liked the first tract’s excerpt a lot. We’ve been wanting some of Maestro’s Classic CD’s, and this one would be great for my sons as they would love the storyline as well (we don’t own that book yet either). I would love these! I’m just starting homeschooling my kindergartener & preschooler this year. I listed to both “Mike Mulligan” and “The Soldier’s Tale” and thought they were awesome! I love stuff like this. We love our Peter and the Wolf cd! We would be thrilled to win the set! Thank you for the opportunity. What a great opportunity – Peter & the Wolf would be a great one! We use FIAR and used MIke Mulligan. The music is fantastic and fun! Kept it for 5 years and now using on the little brother! 🙂 Maestro’s Classics are a valuable part of our homeschool lives! Our family lives are all the richer having found them!!!!! Mike Mulligan is our favorite. Thanks for offering the giveaway! I need this for my grandbabies. Wow! These are great. I love the Swan Lake as well. I listened to Mike Mulligan and the Steam Shovel. LOVE the French Horns (being a former player, I can’t help it!!!). What a treasure all of these are! Peter and the Wolf is such a fun story! Love it! I listened to The Story of Swan Lake. I loved it!! My students at school have loved hearing “The Soldier’s Tale”! I would Love to win this set for my Daughter!! We listened to Peter and the wolf…my daughter LOVED it!!!!! Peter and the Wolf was one of my favorites growing up. Would love to have these for my kids! My husband adores Peter and the Wolf. He would listen to it over and over as a kid…on a record player of course! Please enter us to win. I listened to The Tortoise and the Hare. I loved it! Oh my Gosh the Mike Mulligan and his steam shovel,was the best–what a wonderful way for anyone to enrich their music appreciation– I really think my three would love this. Mike Mulligan – were those bagpipes? Fantastic! I listened to Mike Mulligan and loved the Celtic music I heard. Awesome giveaway! Would love them! Thanks! Listened to Swan Lake. It was beautiful. My daughter would love this! I’ve never heard of this curriculum, but my interest is piqued! We love the classics. I may just need to get this whole set.